Pen and dark brown ink on blue paper. 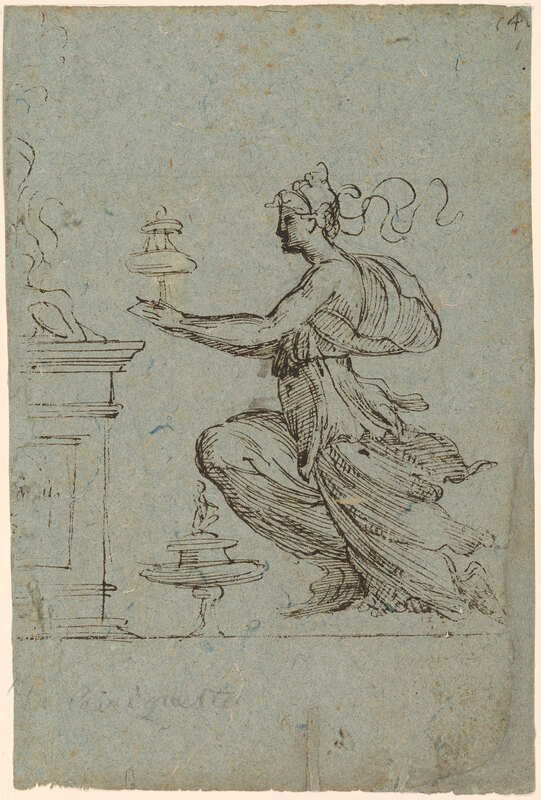 Verso: pen and dark brown ink. 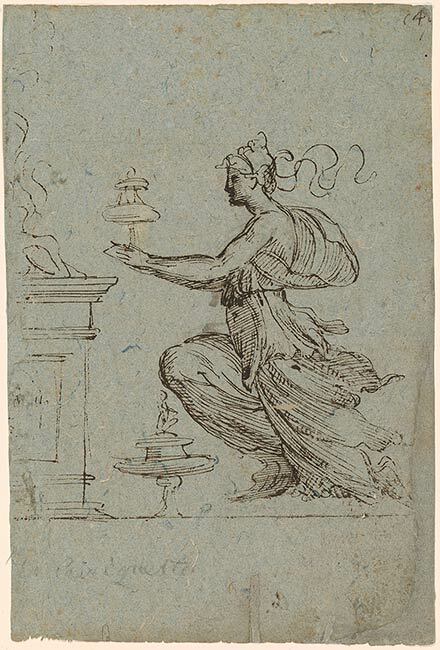 Inscribed at upper right in pen and brown ink: "4[cropped]"; at lower left in black chalk: "C(or P)armiginetto(? 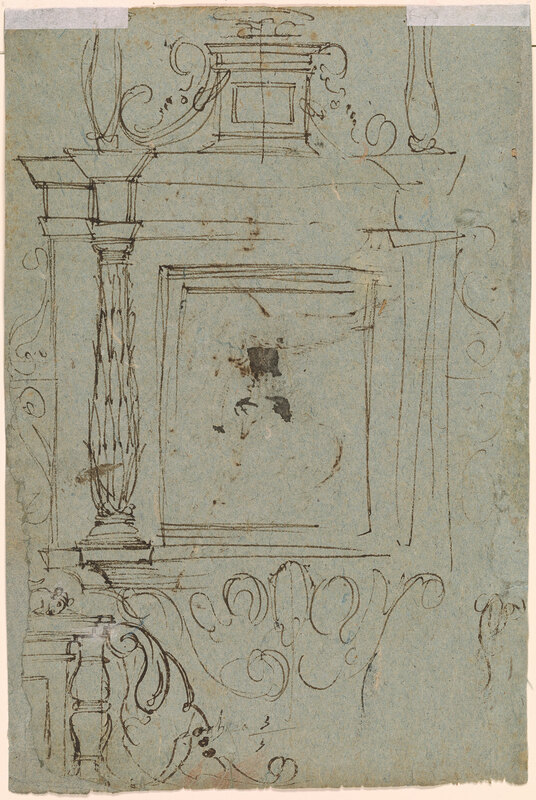 )"; on verso at lower center, in pen and brown ink, by the artist(? ): "larh[g]eza 3/3 (fraction)". Anton Schmid, Vienna (see Lugt 2330b); Galerie Fischer, Zurich, from whom purchased in 1959 by János Scholz (1903-1993), New York (no mark; see Lugt Suppl. 2933b).